Coatings, waxes and sealants all propose to protect your vehicle’s paint job. But they do this in very different ways. Why Your Choice in Paint Protection Matters. Coatings, waxes, and sealants are methods used by car owners to protect their vehicle’s paint from rain, heat, dust and grit. They form a shield around the clear coat, which keeps your vehicle looking newer for longer, and increases resale value when it’s time to sell. It’s important to note that this protection is exclusive to the paint itself. While some methods provider a thicker shield than others, no paint protection on the market today can guarantee protection against scratches, dents and dings to your car. In addition to protecting your car, coatings, waxes and sealants all work to enhance the appearance of the paint job. Each method has a unique way of doing this, and some methods have a larger impact on color and glossiness than others. What Are Coatings, Waxes and Sealants? Glass Coatings are some of the newest types of paint protection on the market today, and have gained widespread appreciation for their toughness, longevity, and eye-catching glossiness. Glass coatings, when applied properly, form a very sleek, tough shield around the clear coat of the car. Despite the name, this shield isn’t actually pure glass, but rather a compound consisting of silicon and silica, as well as titanium, fluorine, and other materials. The coating provides protection against dirt and debris, heat and humidity, bird droppings and tree sap, and even provides minimal protection against fine swirl marks. Water glides right off the surface of a vehicle with a properly applied glass coating. A glass coating is also a long-term solution for maintaining a vehicle paint job. While waxes struggle in Hawaii’s humid climate, glass coatings can provide protection for years, far longer than most of the paint protection methods on the market today. Lastly, glass coatings are easily recognizable due to their attractive candy gloss appearance. This striking reflective surface allows a vehicle’s paint job to “pop” off the surface of the car in a way that no other type of paint protection can match. Of course, even glass coatings have their cons. They’re more expensive than their counterparts—at least initially—and they’re not recommended for the DIY crowd due to the complex application process, which only a trained technician should perform. Waxes became a popular form of paint protection for cars decades ago, and continue to be widely used today due to their affordability and ease of application. Any vehicle owner with some wax and a foam applicator can very easily complete an entire wax job on their own. Unlike other forms of paint protection which use exclusively synthetic materials, waxes may have some organic materials, such as plant-based oils. This organic material provides a breathable surface for your car’s paint job, which increases paint longevity. Much like glass coatings, waxes offer protection against water and any dirt or chemicals contained within. Water tends to glide off the surface of a wax-coated vehicle. Waxes do have their limitations. First, they don’t last as long as glass coatings and paint sealants. In fact, with the weather we have here in Hawaii, they require reapplication within 3-4 months. And while waxes do provide a unique glossy shine to vehicles, their appearance is often not as striking as glass coatings or even paint sealants. Finally, waxes have fallen out of favor by the DIY crowd in recent years due to the popularity of paint sealants, which is far easier to apply and last much longer than the traditional wax. Sealants are a DIY expert’s best friend in the paint protection world due to their ease of application and long-lasting protection. Paint sealants are comprised of 100% synthetic materials, and form a polymer shield around your vehicle by linking together tens of thousands of synthetic particles. As far as longevity goes, paint sealants fall between glass coatings and waxes. Most last between 4 to 5 months, although some may last up to a year. Waxes, meanwhile, tend to last 3-4 months max. And glass coatings can protect a vehicle for years if properly applied. Sealants are also much easier to apply than waxes. In fact, hand application is a common application technique. Sealants require no specialized tools or technical knowledge. That, combined with their longevity, has led to the widespread use of sealants over the last few years. Not Sure Which Type of Paint Protection Is Right for You? We Can Help. 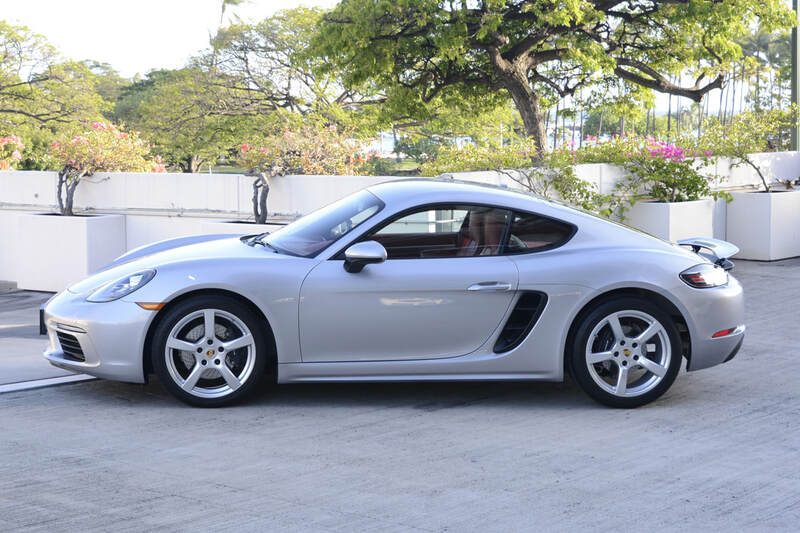 Auto Concierge Hawaii has been helping our clients protect their vehicles for over a decade. Call us today to learn more about your options. We’re happy to help!